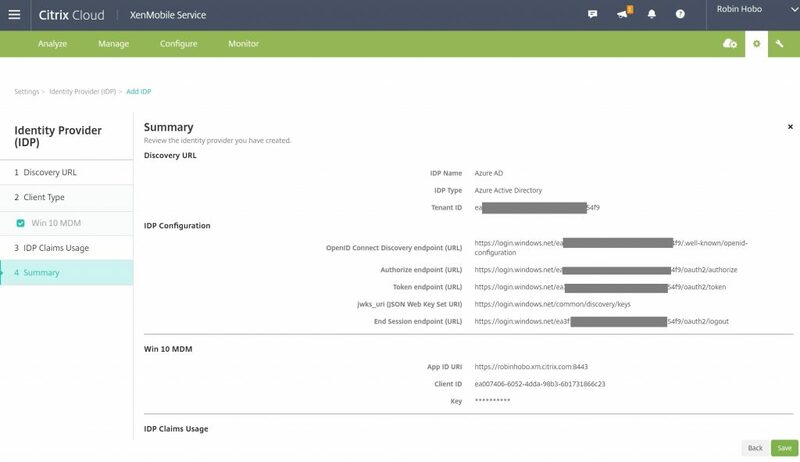 Login to the Citrix XenMobile web console as an Administrator. 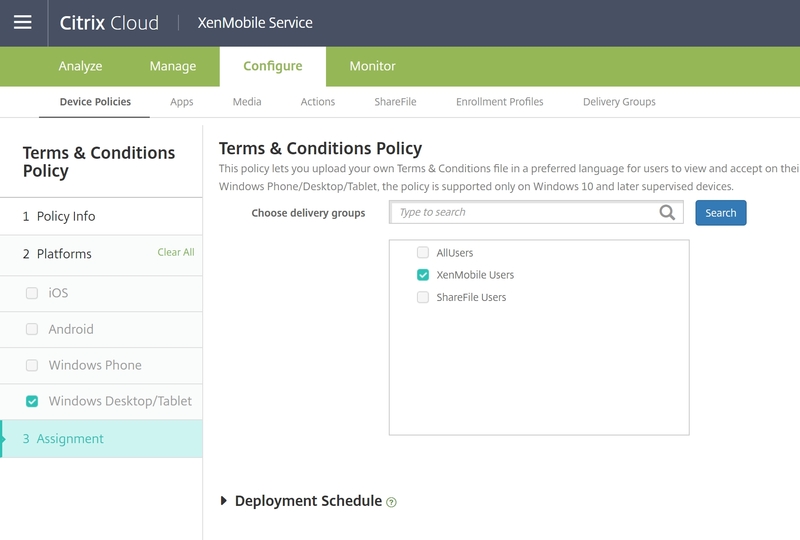 The second step is to configure the Azure AD “Mobility (MDM and MAM)” part for Citrix XenMobile. During this steps we need to write down some information. This information is needed when configuring the IDP settings during step 3 of this blog. Open a Notepad application to temporarily store the information. For the next steps login as Global Administrator to your Azure tenant. 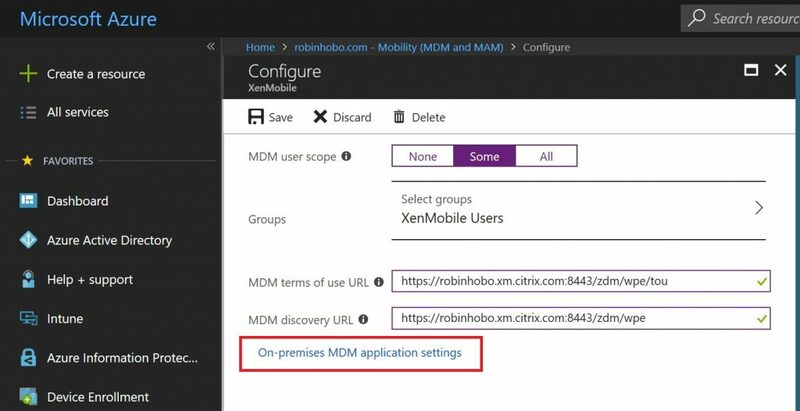 Click on On-premises MDM application (even if you are using Citrix XenMobile Cloud / Services). Give the MDM application a name, in my case I name it XenMobile. Click Add. 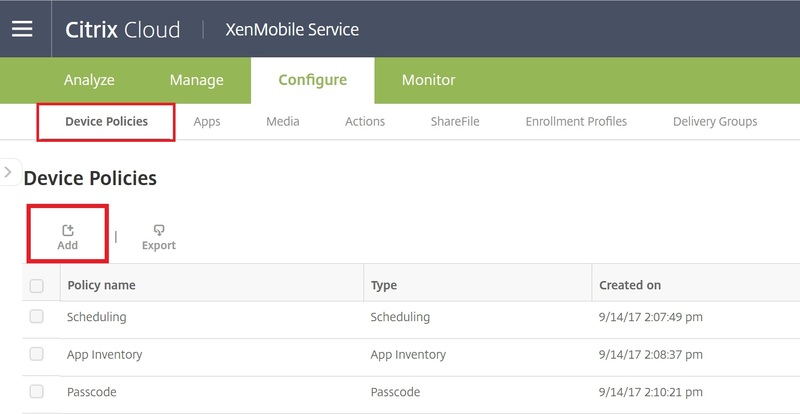 After a few minutes the XenMobile MDM Application is created. Click on it to edit the properties. For this MDM Application only users that are member of the “XenMobile Users” Delivery Group must be able to enroll their device with XenMobile. 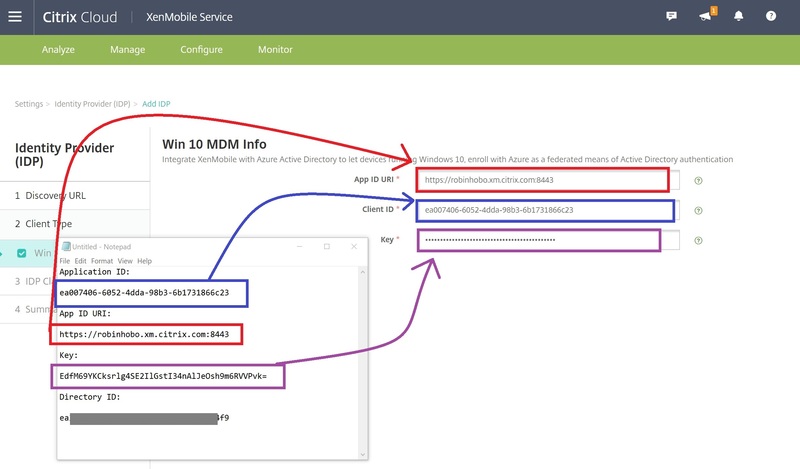 Therefor I add the same AD security group used for the XenMobile Delivery Group to the MDM user scope of this MDM Application. This is an optional step, you can also select All. Click on Properties and copy the Application ID to the Notepad application. The next step is to copy the App ID URI but first we need to change this value. 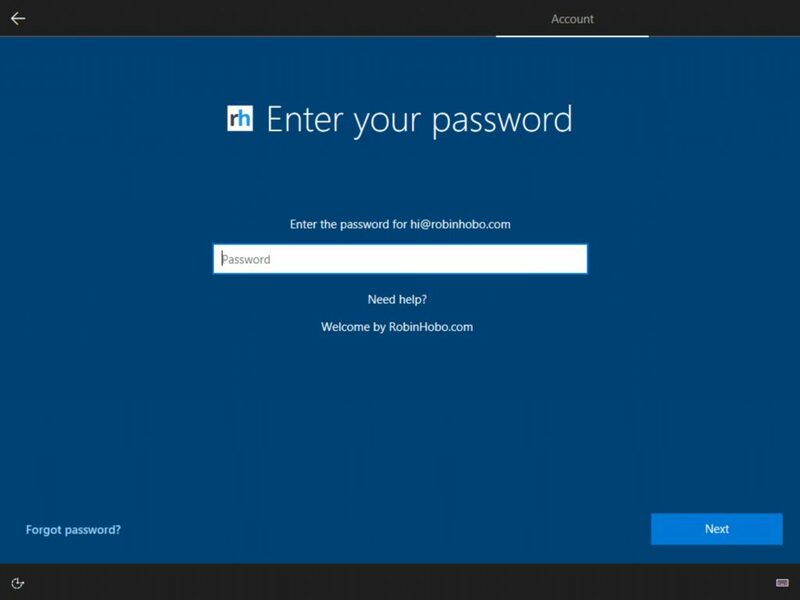 The default value is something like “https://<tenantname>.onmicrosoft.com/f18c84c6-e9cb-41ac-ad56-eb11a86754c1”. 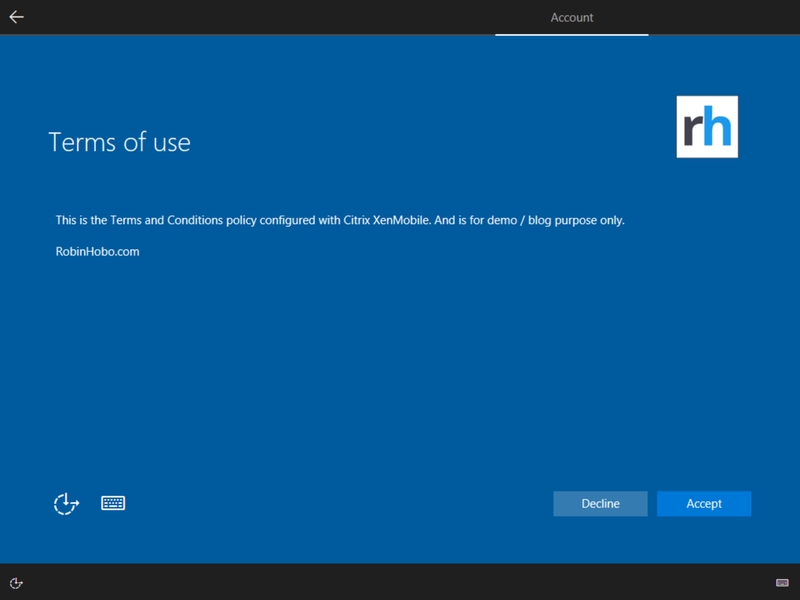 If we leave it to this value you get an error during the Azure AD Join of a Windows 10 device telling you that there is something wrong with the “Terms & Condition” settings. A pretty misleading message what cost me a lot of troubleshooting time. Many thanks to Jeroen J.V Lebon for helping me out and fixing the problem when I had this in a customer tenant! Copy the correct App ID URI to the Notepad application. Optionally you can change the logo of this MDM application. Copy the Directory ID to your Notepad application. 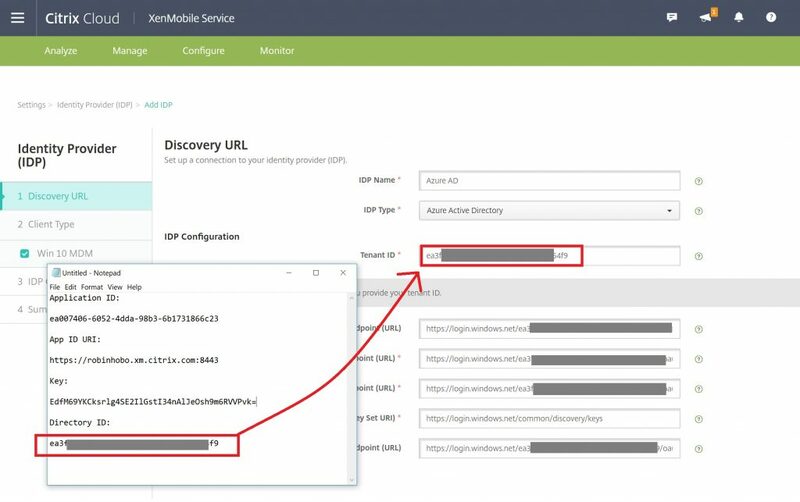 The final step is to configure the Identity Provider (IDP) for Azure AD in Citrix XenMobile. 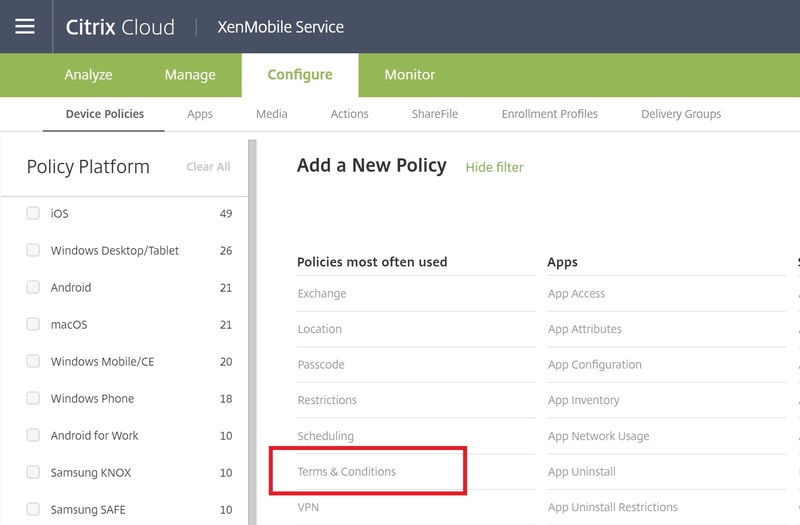 For the next steps login to the Citrix XenMobile console as an administrator. 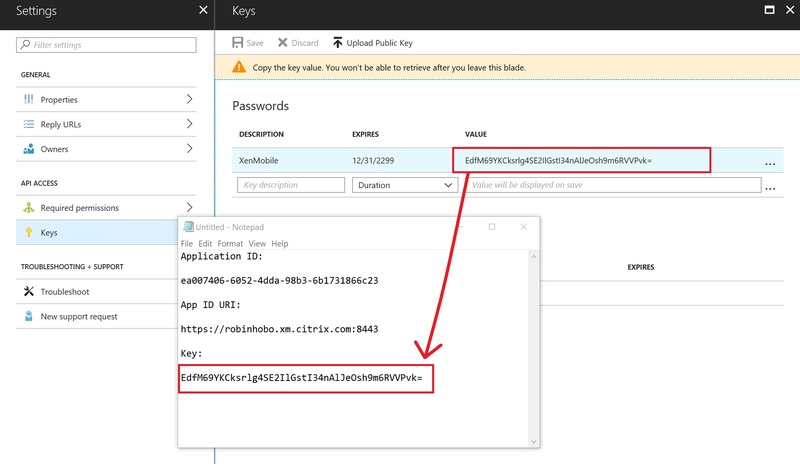 Enter a IDP Name, something like Azure AD. Select Azure Active Directory as IDP Type. Copy the Directory ID from your Notepad application and past it in the Tenant ID field. All other fields will be filled in automatically when hitting the Tab key. Copy the App ID URI to the App ID URI field. Copy the Application ID from the Notepad application to Client ID field. Copy the Key from the Notepad application to the Key field. Select your User Identifier type in my case I have everything configured for userPrincipalName. The User Identifier String will be filled in automatically. In this final chapter I will show you the results of just made configuration. I will do this with the enrollment of a new Windows 10 device. For this test I will use a Windows 10 virtual machine. 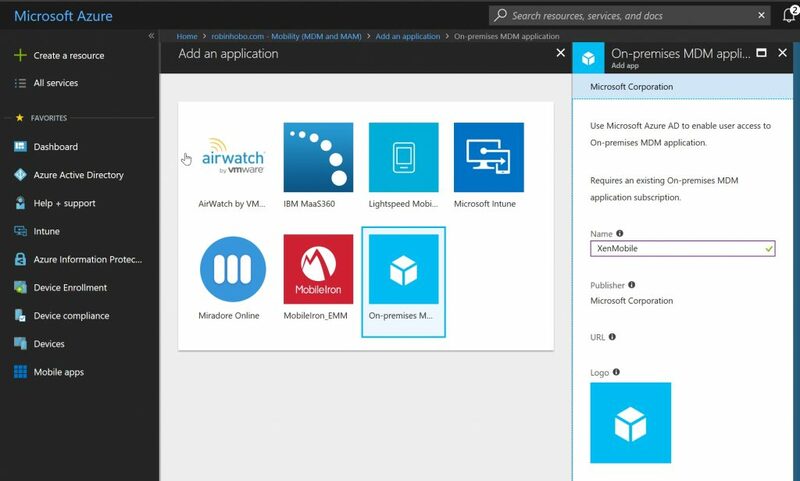 After a few minutes the Windows 10 device (or in this case virtual machine) is Azure AD Joined and also enrolled with Citrix XenMobile, fully automatic, and ready to be managed.